I have sold a property at 204 10788 139 ST in Surrey. The Feb 2019 Real Estate numbers are out now,. Today I am going to dive deep into what these numbers mean in the Greater Vancouver coming up next. Residential home sales in the region totalled 1,484 in February 2019, a 32.8 per cent decrease February 2018, and a 34.5 per cent increase from the 1,103 homes sold in January 2019. For much of the past four years, we’ve been in a sellers’ market. Conditions have shifted over the last 12 months to favour buyers, particularly in the detached home market. This means that home buyers face less competition today, have more selection to choose from and more time to make their decisions. “Homes priced well for today’s market are attracting interest, however, buyers are choosing to take a wait-and-see approach for the time being. So my advice to buyers, if you have the ability to buy in 2019 you can start to play hardball now. When the demand market picks up so will start to see full price offers again. For sellers, selling your home in a declining market is difficult. Prices have dropped in every housing category. With greater competition of homes on the market you need to price your home correctly to capture the buyers attention. How do you store your home instruction manuals and home receipts? Watch this video as I introduce you to my homekeepr app. If you are like everyone I know, you would usually store your home receipts in a small box or even take a picture and store it on your dropbox. How about your home appliance manuals? When you purchase a home you may have up to 8 manuals in both french and English. This takes up a lot of space. With my Homekeepr app all you need to do is take a photo of the serial number or model number of your appliance and it will automatically upload the instruction manual onto your profile. This goes the same with purchase receipts for your home. Just simply take a photo and the app will do the rest. Another benefit of the app is that if you need home maintenance or any other service their is a built in directory of my trusted vendors that you can simply contact. If you want to become a preferred vendor in my directory, please feel free to reach out to me, I will be happy to add you. Question of the day, what are your thoughts about the homekeepr app? Please leave it in the comments below. I will try my best to personally answer all comments myself. Guess what I just made the switch to EXP Realty in Vancouver Canada. Watch this video and find out why I made the switch. I have been with Royal Pacific Realty for over 10 years. They are a great company and I really enjoyed my time there. Watch this video as I go over the 5 reasons why I made the switch to EXP Vancouver, Canada. Training - EXP has over 30 hours of weekly training delivered online. This is great as you can keep up to date with everything real estate with only an internet connection. So now there is no more wasted time driving to and from the office. Culture - With eXp Realty’s virtual office environment compared to the traditional real estate office allows agents to collaborate and learn from agents all across North America. Tech Tools - EXP offers industry leading technology tools, like free websites and apps to help serve its clients better. The websites are very intuitive and helps show buyers the properties they want to see. Apps such as homekeepr helps home owners organize warranty information, email you reminders of home maintenance items and can be a trusted resource to find recommended home maintenance professionals. Revenue Share - Unlike some other companies, EXP has a revenue model. Real Estate is a commission based business, so when you stop selling you stop earning income for your family. With EXP Revenue sharing program you have the opportunity to earn a passive income. Growth - EXP is a US and Canadian wide company and has grown to over 16,000 agents as of Jan 2019. In Canada EXP is in BC, Alberta and Ontario. So there you have it the 5 reasons why I switched over to EXP Realty. If you have any questions about EXP realty please feel free to reach out to me. Question of the day, what are your thoughts about EXP Realty? Please leave it in the comments below. I will try my best to personally answer all comments myself. As always please like, share and subscribe and become smart savvy consumer. I make educational videos every Friday. This is Alex from Vancouver and Thank you so much for watching this video eh? So the year end 2018 Real Estate Numbers are out now for Metro Vancouver and it was the lowest amount of sales annually in the last 18 years. Today I am going to dive deep into what these numbers mean in the Greater Vancouver Market and what you should do as a buyer and a seller in 2019. Hi I am Alex Lam from Royal Pacific Realty, and oh yeah this is Canadian content eh? If this is the first time you are here, and you are interested in all things real estate in the Vancouver area, be sure to hit that subscribe button and that little bell. I post new Videos every Friday. The Real Estate Board of Greater Vancouver (REBGV) reports that total 2018 sales reached 24,619, a 31.6 per cent decrease from the 35,993 sales recorded in 2017, and a 38.4 per cent decrease compared to the 39,943 residential sales in 2016. “The supply of homes for sale will be an important indicator to follow in 2019. Many homes that failed to sell in 2018 will most likely try again in 2019. Also many projects are completing soon and investors who are strapped for cash may decide to cut ties, and unload these properties. As the for the MLS® HPI composite benchmark price for all residential homes in Metro Vancouver ends the year at $1,032,400. This is a 2.7 per cent decrease compared to December 2017. The benchmark price of detached homes in the region declined 7.8 per cent over the last 12 months and 7.3 per cent since June 2018. Apartment homes increased 0.6 per cent over the last 12 months and have declined 6.4 per cent since June 2018. The benchmark price for townhomes in Metro Vancouver have increased 1.3 per cent since December 2017 and have decreased 5.3 per cent over the last six months. Many analysis are predicting further price declines in 2019 but not a real estate crash. So my advice to buyers, if you have the ability to buy in 2019 you can start to play hardball. Areas you where priced out of before are starting to open up again. So it is important to keep an eye on the market. Try your best to negotiate a good deal as there will be some market volatility. For sellers, selling your home in a declining market is difficult. You can not expect to sell your home at year 2017 highs. You will need to be a price setter, price your home to sell at its market price and slightly lower than your competition. In a declining market the longer your home sits on the market the lower the your home price will become. Question of the day, Would you consider selling your home in a declining market? Or wait for a recovery? Answer in the comments below. I will personally respond to all the comments myself. So the Nov 2018 Real Estate Numbers are out now. Today I am going to dive deep into what these numbers mean in the Greater Vancouver Market and highlight which area you should think about buying. For new inventory hitting the market in November, sellers have also been holding off listing there home for-sale. As the sellers are also taking the wait and see approach. November new listings totalled 3461 which was a 15% decrease compared to Nov 2017, and 29% decrease from the previous month. Total inventory however is still 40 percent higher compared to the same month last year. Detached home sales in November 2018 reached 516, a 38.6 per cent decrease from the 841 detached sales recorded in November 2017. The benchmark price for detached homes is $1.5 million. This represents a 6.5 per cent decrease from November 2017 and a 1.6 per cent decrease compared to October 2018. Apartment home sales reached 810 in November 2018, a 46.3 per cent decrease compared to the 1,508 sales in November 2017. The benchmark price of an apartment property is $667,000. This represents a 2.3 per cent increase from November 2017 and a 2.3 per cent decrease compared to October 2018. Attached home sales in November 2018 totalled 282, a 36.8 per cent decrease compared to the 446 sales in November 2017. The benchmark price of an attached home is $818,000 This represents a 2.6 per cent increase from November 2017 and a 1.3 per cent decrease compared to October 2018. For detached homes, Ladner had the biggest price change over the last 3 months from a benchmark price of $949,000 with a decrease of 6%. Followed by Pitt Meadows with benchmark price of $894,000 with 5.0% decrease and Burnaby East with a benchmark price $1.2 Million with a 4.9% decrease. 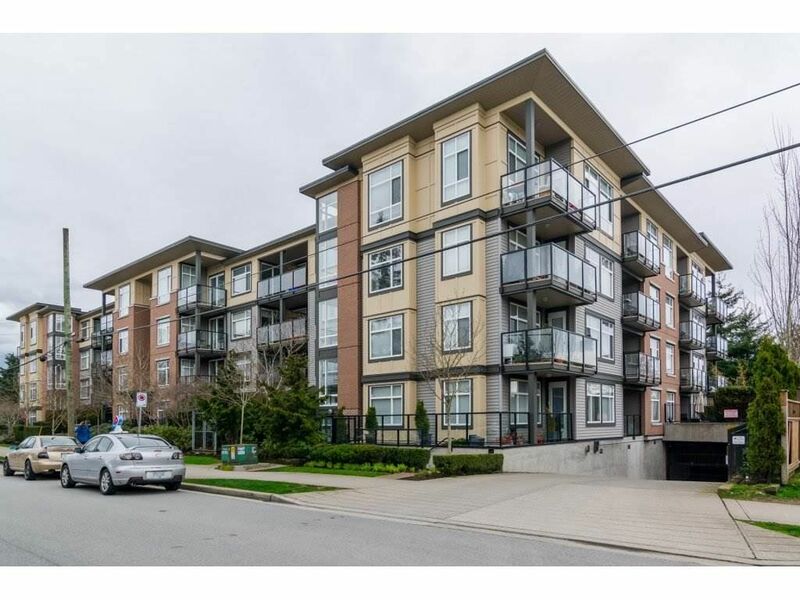 For Condos the biggest price drop is was Wistler with a benchmark price of $551,000 at 8% decreases followed by Coquitlam with a benchmark price of $522,000 at 5.5% Decrease and Burnaby South with benchmark price of $689,000 with a 4% decrease. For Townhomes, Vancouver East had a benchmark price of $830,000 with a 7% decrease over 3 months, followed by Tsawwassen with a benchmark price of $739,000 with a 6.9% decrease followed by Ladner at $769,000 with a 6% decrease. So if I was a buyer I would look into those areas. If you are in the market to buy a home I always recommend following sold prices and the news. This makes it much easier for you to spot a good investment opportunity. Check out this detached home located in the Oakridge area. It is a 65 x 120 lot asking $2.79 Million with a tax assessment value of $3.48 Million. Or this Old timer in Dunbar asking $2.28 Million which was sold in April of 2017 for $2.6 Million with a current tax assessment value of $2.59 Million. In regards to selling your home, sellers who are willing to price their homes at under its current market value are still getting a lot of interest. I see some sellers testing the market listing their detached homes in the south burnaby area for 1 million dollars then immediately raising there asking price to market value. Question of the day, What will the Spring 2019 Real Estate Market look like? Answer in the comments below. I will personally respond to all the comments myself. I just visited the Unwritten VIP Oakridge Realtors Event by Wesbank. If you are curious about Presales in Vancouver watch this video as this one is located at Oakridge Centre. Many Presales across Vancouver requires VIP access. Watch this video as I walk thru the Westbank Unwritten Oakridge Project. The Unwritten project is located at Oakridge Centre, at the corner of 41 st ave and Cambie. Its is also beside rapid transit, Oakridge 41 st station. Unwritten project is all about creating a living city. It will have a beautiful park, live music and entertainers every week. This project will surround itself by nature, retail, public art and incredible catteries. It will also be a complete transformation of Oakridge Mall. They also have a BMX bike share program and also partnered with apple to bring home technology to the next level. The kitchen will be the central hub for fine dining. It will feature 20 chefs bringing you Devine dishes from all over the world. Oakridge will be the home for about 6,000 residents and the workplace of 3,000 workers. The estimated completion is year 2025. The sizes of the units range 629 square feet for a 1 bedroom, 1029 square feet for a 2 bedroom, and 1961 square feet for a 3 bedroom. The prices start from $900k for a 1 bedroom, 1.43 million for a 2 Bedrooms, and 3 million dollars for a 3 bedroom. The floorpans have been very well laid out. With the most luxurious features and style. So there you have it the Unwritten project in Vancouver. If you have any interest in this project please feel free to reach out to me, private client viewings are coming up very soon. VIP buyers will get first selection, registration is required. Question of the day, what do you think of the Unwritten project at Oakridge? Would you buy a presale in this market? Please leave it in the comments below. I will try my best to personally answer all comments myself. THE BC Government just announced a Condo Flipping registry that will take into effect Jan 1, 2019, stay tuned as I will discuss all the details. When I attend presale purchasing events across Metro Vancouver a large majority of the people there are real estate investors. With Presales these investors would most likely flip these properties for a small profit. After all the only investment the investor had to make was to come up with the deposit payment. In the past most buyers of presales who had the intention of flipping their property may have done so without reporting the capital gains to CRA. Also the buyers of the presale assignments may have reported the property value incorrectly when it came time for completion. Some buyers of assignment contracts may have reported the original purchase price not the assignment purchase price to the land title office, thus avoiding the payment of the extra property transfer tax and GST. With the implementation of this new Condo Flipping Registry this will force the Assignor to report the correct capital gains amount, and the assignee to report the correct purchase price. The developer will also be forced to collect information for the registry. Also the developer must collect details about the assignment contract. So there you have it. If you are an assignor or an assignee you need to know about this new condo flipping registry. Question of the day, do you think this registration will reduce the amount of presale flipping? Please leave it in the comments below. I will try my best to personally answer all comments myself. So the Oct 2018 Real Estate Numbers are out now and they are really spooky. Today I am going to dive deep into what these numbers mean in the Greater Vancouver Market and highlight which area you should think about buying. Last month’s sales in Oct was 26.8 per cent below the 10-year Oct sales average and 34.9% decrease in sales for the same month last year. This represents a 6 year low. The supply of homes for sale today is the beginning to return to sales levels of about 4 years ago. For home buyers this means you have more selection to choose from. For sellers it means your home may face more competition from other properties on the market. Also compared to the same month last year Inventories have increased 42.1 percent over all property types. For all property types, the sales-to-active listings ratio for OCT 2018 is 15.1 per cent. By property type, the ratio is 10.3 per cent for detached homes, 17.3 per cent for townhomes, and 20.6 per cent for condominiums. Home prices have come down between three and five per cent, depending on housing type, in our region since June. This is providing a little relief for those looking to buy compared to the all-time highs we’ve experienced over the last year. Sales of detached properties in OCT 2018 reached 637, thats a 32.2 per cent decrease compared to the same month last year. The benchmark price in greater vancouver for detached properties is now at $1,524,000. This represents a 5.1 per cent decrease from Oct 2017 and a 3.9 per cent decrease over the last three months. Sales of apartment properties reached 985 in Oct 2018, a 35.7 per cent decrease compared to the same month last year. The benchmark price of an apartment property is $683,500. This represents a 5.8 per cent increase from Oct 2017 and a 3.1 per cent decrease over the last three months. Attached property sales in October 2018 totalled 344, a 37.5 per cent decrease compared to the 550 sales in Oct 2017. The benchmark price of an attached unit is $829,200. This represents a 4.4 per cent increase from Oct 2017 and a 2.8 per cent decrease over the last three months. For detached homes, Burnaby East had the biggest price change over the last 3 months from a benchmark price of $1.25 million with a decrease of 5.6%. Followed by West Vancouver with benchmark price of $2.76 million with 5.4% decrease and Pitt Meadows with a benchmark price $908,000 with a 4.9% decrease. For Condos the biggest price drop is was West Vancouver with a benchmark price of $1.15 million at 6.3% decreases followed by Maple Ridge with a benchmark price of $363,000 at 5.7% Decrease and Pitt Meadows with benchmark price of $514,000 with a 5.1% decrease. For Townhomes, Vancouver East had a benchmark price of $833.200 with a 6.7% decrease over 3 months, followed by Port Coquitlam with a benchmark price of $646,400 with a 5.8% decrease followed by Vancouver West at $1.23 Million with a 4.4% decrease. Asking $1,679,000, Sold 31-Aug-2017 $1,800,000, Tax Assess $1,747,000. 1,767 sq ft. "Only 1 year old beautiful CORNER townhome built by Intracorp features 3 bedrooms & 2.5 bathrooms, A/C, direct access to 2 secured parking spaces, a beautifully landscaped yard." Asking $1,139,000, with a Tax Assessed value of $1,271,000. "It features Amazing views above historic Gastown, over looking the North Shore Mountains, water and Vancouver's beautiful Harbour"
The presale market still seems to be hot right now, with projects continuing to be launched regardless of the slow down in the market. West Bank Oakridge centre is getting ready to launch at the starting price is $2600 per square foot. Richmond, Burnaby ,Surrey presale prices, are averaging about $1000 per square feet to $1200 per square feet. If you are interested in the Richmond Paramount Project check out my last blog post. In regards to selling your home, sellers who are willing to price their homes at under its current market value get a lot of interest. The buyers are out there, they are just all waiting for a modest price correction. Question of the day, Where do you think the prices are headed across greater vancouver? Up or Down? Answer in the comments below. I will personally respond to all the comments myself. Did you buy a presale condo recently? Do you know what to expect at a presale inspection walk thru? Buying a presale in Vancouver is very popular. Most of these presale projects get sold out within days. But when its time to view your brand new unit many buyers are surprised by the amount of deficiencies that can be found. Today’s I will show you 8 things to look for in a presale walk thru. Nail pops in the drywall. Cracks or Chips found on the countertops. Check the floorpan - Make sure the unit is constructed as per the specifications of the floorpan you have purchased. The developer has some leeway in regards to the size of the unit, it will mention this in your contract sometimes up to 5% SMALLER. I have seen buyers expecting to view a 3 bedroom home that was purchased but the developer only constructed a 2 bedroom for them. Or in another situation a 2 bedroom and den, became a 2 bedroom with an extra closet. If you encounter this you should report this to the developer immediately. I also recommend having your lawyer drafting them up a letter asking for some sort of compensation. So after you have viewed the unit make sure to have the deficiencies noted by the developer. If you did not have them put the deficiencies in writing they will forget about them. Also to note, the developer will still force you to complete the purchase of your unit regardless of the deficiencies you have found are complete or not. If you have any questions about this topic please feel free to reach out to me. Question of the day, would you buy a presale condo? Please leave it in the comments below. I will try my best to personally answer all comments myself. I just visited the Paramount VIP Realtors Event by Keltic. If you are curious about Presales in Richmond watch this video as this one is located right across Richmond centre. Many Presales across Vancouver requires VIP access. Watch this video as I walk thru the Paramount Project. The Paramount Project is located Right across Richmond Centre, at the corner of No. 3 Road and Cook RD. Its is also beside rapid transit, Richmond Bright house station. The paramount will have about 536 residential units, with 3, 15 storey towers, and one commercial office building. The estimated completion is year 2021. The sizes of the units range from 425 sq ft – 1,075 sq ft. With a starting price around the mid 300’s for a bachelor unit. The 3rd floor is where the court yard is located. It has a lush urban oasis with relaxing water features. The buildings also have many curated luxuries such as a private dining room with a personal chef, wine room, indoor and outdoor dining areas, with state of the art Mclaren Racing Simulator, a movie screening room and exercise room. Also if you have children they also have a child learning centre. The floorpans have been very well laid out. Featuring Italian cabinetry, Miele appliances, quartz countertops and porcelain tilted bathrooms. All units also have full air conditioning. One thing I should add is that the residents at the paramount would have access to a lifestyle concierge. That can look after the following, meals, shopping, housekeeping, dog walking, translation services, and driving lessons. So there you have it the Paramount Project in Richmond. If you have any interest in this project please feel free to reach out to me, private client viewings are coming early November. VIP buyers will get first selection, registration is required. Question of the day, what do you think of the Paramount Richmond? Would you buy a presale in this market? Please leave it in the comments below. I will try my best to personally answer all comments myself. The details of the BC Speculation tax has just been released. Find out what you need to know about the tax, coming up next. Many British Columbians own secondary homes. Watch this video as I go over the 8 things you should know about the Speculation and Vacancy Tax. 2nd Home must be rented for a period of a minimum 6 months per year. Airbnb deterrent - since most short term rentals are for periods of under 30 days this new tax basically eliminates Airbnb from most of BC. Yearly declaration is necessary to avoid paying this tax on your primary residence. This tax does not stop Real Estate Speculation ? So you are free to purchase real estate and flip it for a profit. Example condo Pre-sales and assignment of contracts. Municipalities have been rejected the option to opt of the speculation tax. Meaning locations such as Kelowna that depend on Alberta buyers can see their real estate market suffer. How is the Tax calculated - For a BC Resident or PR who lives in BC, with a high world wide income and paying very little BC Income tax will be charged 0.5 percent. For owners who are Canadian citizens and permanent residents who do not live in B.C., the tax is one per cent of assessed value, minus the credit — or $6,000 for an $800,000 Vancouver condo. For owners who are foreign investors or part of satellite families, the tax is two per cent of assessed value, minus the credit — or $14,000 for the $800,000 condo. Condos with rental restrictions are exempted from this tax. Their are many other exemptions which I will link up in the description. So there you have the 8 things you need to know about the speculation tax. If you have any questions about this topic please feel free to reach out to me. Question of the day, what do you think of this bc speculation tax? Should the Green Party and liberals vote it down? Please leave it in the comments below. I will try my best to personally answer all comments myself. Planning to buy a home soon? Where are interest rates heading? What are mortgage rates today? Buying a home is not getting any more affordable. Yes prices are heading downwards across greater vancouver, but interest rates have gone up over the last 4 quarters. Affordability has not changed at all. Also with variable rate mortgage with a deep discount over a 5 year average you should be low enough to beat a standard five-year fixed. But need something like prime rate minus 0.90 per cent or better. Variables also have friendlier penalties – usually just three months’ interest and ability to lock into a fixed mortgage product at anytime. Scotia bank has recently increased its 5 year posted rate to 5.44, with the current mortgage qualifying rate at 5.34. Do I see further fixed mortgage rate increases in the near future? That all depends on the 5 year Canadian Bond Yield. Oil prices have been crashing across Canada and our bond yield is currently at 2.5%. Unless we see oil prices correcting and we surpass the 2.5% mark on Canadian bank yields. I personally don’t see the 5 year fixed rates going up any further. So if I was a buyer in real estate now, I would recommend going with a variable mortgage with the largest discount you can find or a fixed mortgage at close to 3.4% or below. Question of the day, where do you think rates are heading? Up or down. Please leave it in the comments below. I will try my best to personally answer all comments myself.